The light and spacious sitting room has a stunning feature wall with a picture window and wonderful far reaching views across the valley. 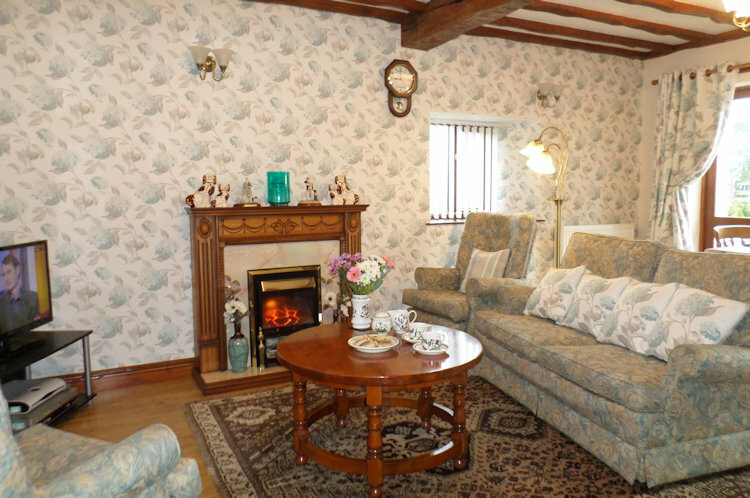 A two seater sofa and armchair complemented with co-ordinating furnishings Laura Ashley wallpaper and fabrics. A real flame effect fire. A Sky TV with basic channels, video and DVD, CD player and radio. 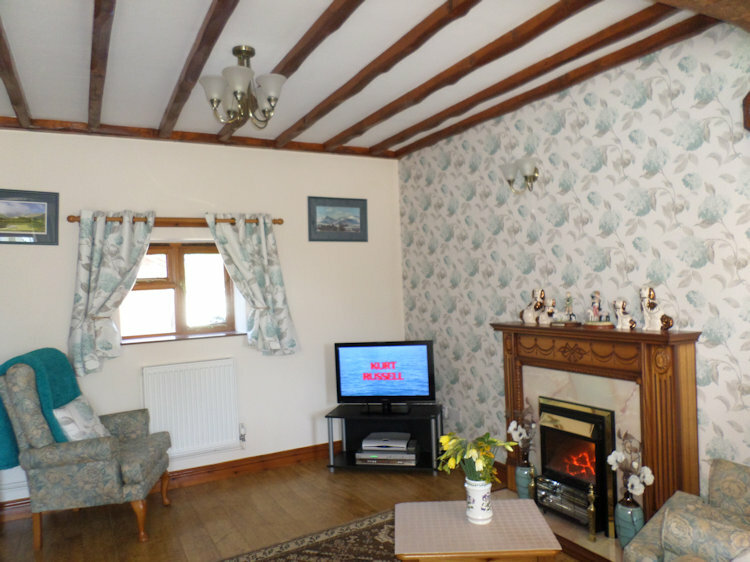 Original oak beamed ceilings, oak flooring and a large afghan rug. The dining area has an antique pine dresser, dining table and chairs. 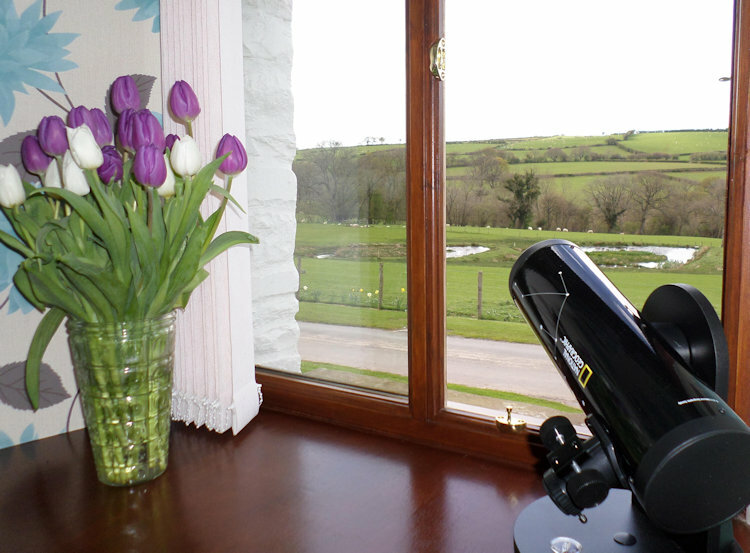 From the window it is possible to observe the wildlife on the lake such as, herons, wild geese and ducks and the many different species of birds in the area. In the evening from the comfort of your armchair you can star gaze the night away.